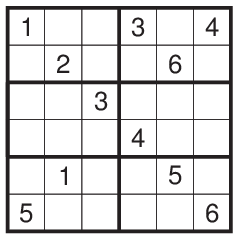 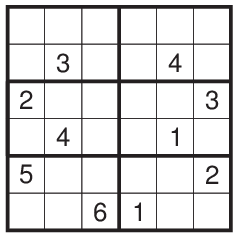 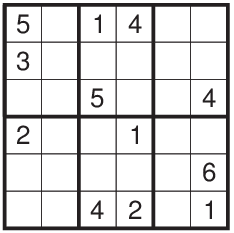 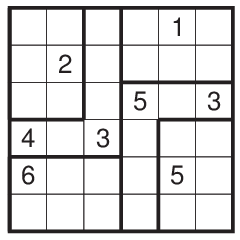 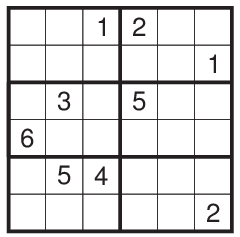 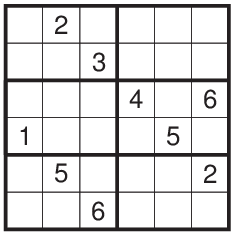 Here are few classic 6*6 sudoku for practice. 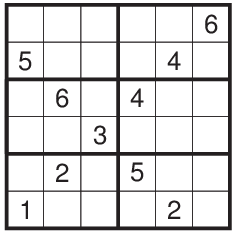 They are not of high quality but enough to give you idea about how the sudoku regions can be in actual contest. 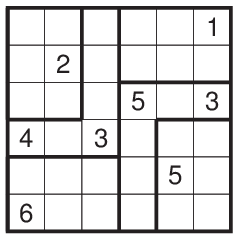 Fill each and every row, column and region with numbers 1 to 6.